The precious metals market and related exchange traded funds have done a complete one-eighty compared to 2015 and may continue to end the year strong as ongoing uncertainty would support safe-haven demand. “We believe market uncertainty to keep strong support for precious metals – particularly gold and silver – for some time and that will be reflected in elevated investor demand,” Maxwell Gold, Director of Investment Strategy at ETF Securities, said in a research note. Gold, along with the ETFS Physical Swiss Gold Shares (NYSEArca: SGOL), could continue to shine this year as global uncertainty from Brexit and weak U.S. economy growth lowered expectations that the Federal Reserve would hike interest rates. Gold has experienced a standout year as global physically backed ETFs saw inflows totaling 110 metric tons and cumulative gold holdings in ETFs rose to 1,952 tons, the highest level since August 2013. Silver, along with ETFS Physical Silver Shares (NYSEArca: SIVR), has also mirrored the surge in gold in response to ongoing market volatility. 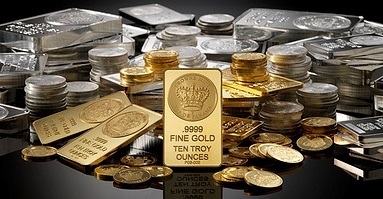 Silver has exhibited a correlation of over 80% to gold and typically moves in the same direction as the yellow metal but in larger movements. Moreover, unlike gold, silver enjoys a high level of industrial demand. The silver market is also in a supply deficit for the third straight year and is likely to go into a fourth year of deficient in 2016.